The CPG landscape is more competitive than ever. The shopping habits of consumers have changed dramatically over the last few years, and brands who fail to keep up risk losing marketshare to more innovative and forward-thinking companies. Don’t let this happen to you. Ensure that your brand stays relevant by keeping an eye on the trends shaping your market — and actually doing something about them. To help you accomplish that, this post will discuss 5 notable consumer trends that are shaping the CPG space. Is your brand on top of these developments? Consumers are opting for brands that promote sustainability and corporate social responsibility. Price and product quality still matter a great deal, but shoppers are also starting to care about how a product is sourced or whether it has an impact on the environment. For this reason, you may need to re-evaluate your business practices. Are you upholding high ethical standards? Are you doing business with vendors and partners who have the right values? If you find that your business falls short in these areas, you may want to make changes in your company. Already practicing corporate social responsibility? See to it that your customers are aware of that. For instance, if your products are made from sustainable materials, be sure to mention that on your packaging. Nuby, a brand that sells products for babies and toddlers is doing just that. The packaging of Nuby’s feeding bowls prominently displays the fact that the product is made from recyclable and biodegradable materials, so shoppers immediately see that the merchandise is environment-friendly. Consider implementing something similar if you’re selling sustainable products. Doing so won’t just spread the word about your great efforts, but it could also increase sales. Startups with new and interesting business models are giving traditional CPGs a run for their money. Big companies, even those with massive brand recognition, are being disrupted by nimble and innovative players. Consider the case of Dollar Shave Club, a subscription-based business that delivers razors and personal grooming products to customers. Dollar Shave Club’s unique approach (at least at the time) combined with clever branding and commercials allowed it to gain market share from traditional players, forcing companies like Gillette to play catch up. Gillette eventually launched its own subscription service to compete, but by then Dollar Shave Club had already made its mark. And not long after, CPG giant Unilever purchased Dollar Shave Club to get in on the subscription model of an innovative and disruptive player. The lesson here? CPGs that fail to innovate risk being overtaken by smaller, forward-thinking companies. Prevent your brand from suffering the same fate by constantly staying on your toes when it comes to innovation. Recognize that traditional methods for selling and getting in front of consumers may not necessarily work anymore. Study the habits of modern consumers and see how you can stay relevant in their lives. And study your competitors — particularly ones that are up and coming. Are they doing anything different to engage your target market? Pay attention and see if you can apply new tactics to your own strategies. The direct-to-consumer (D2C) sales model is on the rise, particularly online. This allows for control of the brand, pricing, messaging and eliminates some of the challenges with the traditional pay-to-play retail methods,” she adds. One example of a CPG that’s embraced direct-to-consumer selling is Tide. The brand launched Tide on Demand, a subscription service that sends members Tide PODS® 3 in 1 with detergent, stain remover, and brightener on a regular basis. If your company isn’t selling directly to consumer yet, you should seriously consider it. Perhaps it’s time to implement ecommerce on your website. Or, like Tide, it may behoove you to try a new business model (e.g. subscription service, try before you buy, etc.). D2C may be on the rise, but retail will continue to be a significant sales channel for CPGs. To stay competitive, though, brands must find ways to improve the customer experience offline and provide something shoppers can’t get on their phone or computer. Events – When implemented correctly, events can be effective in driving foot traffic. They give people a compelling reason to head to a physical location, and the brand is given a great opportunity to tell its story, connect with shoppers, and showcase its products. Events also tend to attract tons of buzz online and can be a great source of user generated content. Need inspiration for organizing your next event? Have a look at what prominent fashion brand Rebecca Minkoff did earlier this month, when the company ran its first fashion event in The Grove shopping center in Los Angeles. In addition to a runway show, the event also included activities such as yoga sessions, wine tasting, and live musical performances. Needless to say, Rebecca Minkoff’s event drew large crowds and was deemed a smashing success. Shopping technology – In-store technologies such as touch-screens, kiosks, and other gadgets can enhance the shopping experience, making it more convenient and enjoyable. A great example of a retailer putting in-store technology to good use is Sephora, with its Fragrance IQ kiosk. Fragrance IQ lets shoppers take an in-store quiz to help them find the perfect scent. They’re given product recommendations based on their answers, and they can instantly sample the scents on-site. In-store services – Give people more reasons to head to the store with on-site services. Think about how you can support your customers after they’ve made a purchase, and turn that into an in-store service. For instance, cosmetics retailers such as Mac and Sephora provide makeup and beauty consultations for people who purchase their products. Nike, on the other hand, provides free services such as running analysis, bra fitting and pants hemming in select locations. Mobile technology – Connect with consumers on their mobile device then use the small screen to improve the in-store experience and increase sales. Here’s a great example of a mobile CPG campaign in action: Kraft’s Philadelphia Cream Cheese teamed up with Shopitize to drive in-store traffic and loyalty. 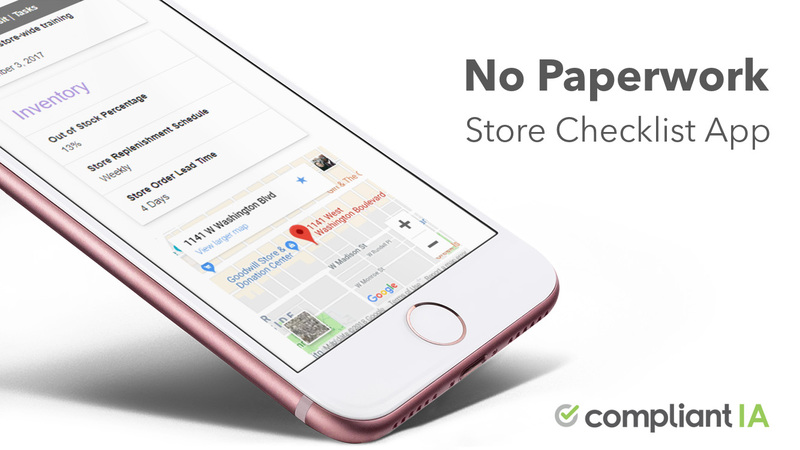 According to Mobile Marketer, supermarket shoppers who had the app were able to earn cash back and unlock exclusive content by scanning Philadelphia Cream Cheese products and uploading their receipts using their smartphone. The campaign, which ran for three months and tested with 15,000 shoppers saw a 15% redemption rate. Pop-up store – Brands that don’t have physical stores can still make their mark on the offline realm through pop-up shops. The novel and temporary nature of these stores can easily pique shopper interest and attract foot traffic. Check out what Keurig did in 2014. To kick off the launch of the Keurig 2.0 Brewing System, the brand decided to build a temporary store in New York. In addition to showcasing the new product, the store featured celebrity guests, and ran live demos and sweepstakes to engage and entertain shoppers. Work with retailers – Collaborate with your retail partners to improve program planning, execution, and results. The KDM Blog cites an interesting case study in which snack brands collaborated with Target to increase sales for s’mores. According to the site, The Hershey Co, (Hershey’s chocolate), Mondelez International (Honey Maid grahams) and Kraft Foods Group, worked with Target on a campaign to entice shoppers to buy more s’mores. One of the things the brands did was tapping into Target’s shopper data and insights and using them to plan and execute their program. As for the result, the collaboration yielded a whopping 213% basket increase for the brands. A note on executing your offline initiatives: The above examples demonstrate the many ways you can enrich your customers’ offline experiences. As mentioned above, when done right, offline initiatives can yield tremendous results. But it’s important to note that these programs often involve a lot of moving parts and thus require an organized and collaborative effort. That’s why it’s highly recommend that you arm your teams with tools that would help them to stay on top of all aspects of your offline programs and initiatives. 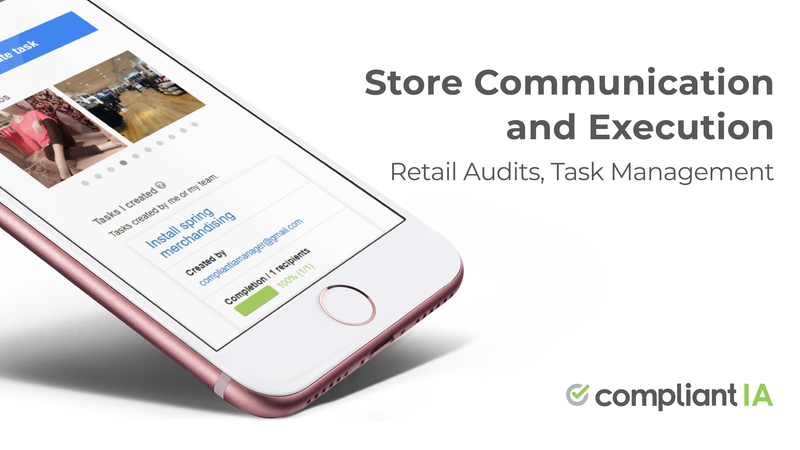 For example, if you’re collaborating with retailers, consider using a task management software (preferably something cloud-based) to enable multiple parties to view and track action steps and progress. This will also help different teams stay on the same page. Another tip is to conduct audits. Whether you’re rolling out a new piece of in-store technology or launching a pop-up store, make it a point to audit and evaluate your efforts. Are your in-store gadgets working properly? Do the displays in your pop-up store adhere to your brand guidelines? You can effectively answer these questions by auditing your initiatives. And once again, it helps to arm yourself with the right tools. For audits, you may want to forego manual checklists or clipboards and opt for a modern retail audit software that allows your team to conduct audits using a mobile device or computer. Doing so will make the process more efficient and prevent human error and inaccuracies. “Besides brand advertising, CPG companies should be aware that today’s customers are influenced more and more by their friends’ opinions and user-generated content,” says Ankit Runwal, a marketing specialist at Social Annex. One of the easiest ways to do this is to leverage social media. Figure out the top social networks that your customers are using then establish a presence on those sites. Monitor what people are saying then respond accordingly. And when you see users who are actively talking up your brand, reach out and engage with them. Want to ramp up social interactions? Consider running a user-generated content campaign that sources input from fans and followers. Lay’s “Do Us A Flavor” contest is a great example of this. Frito-Lay is inviting people to pitch their best potato chip flavor for a chance to win $1 million dollars. All users need to do is head to the Do Us a Flavor site and submit their idea. Lay’s initiative creates a win-win situation for both the brand and consumers. On the consumer side, people are given the opportunity to make their voices heard (and win cash in the process). Lay’s, on the other hand, benefits from the rise in consumer engagement and user-generated content. Speaking of a win-win situation, this is exactly where you’ll find yourself if you strive to adapt to the changing habits and trends of your customers. Keeping up with these trends takes tremendous effort (so prioritize the ones that you will invest in), but it’s the only way to stay relevant in today’s market. What other consumer trends are making an impact in the CPG space? Share your thoughts in the comments. Great article with valuable insights into 5 noteworthy consumer trends CPG companies should take advantage of to stay relevant in today’s market and competitive! Great work Francesca Nicasio!